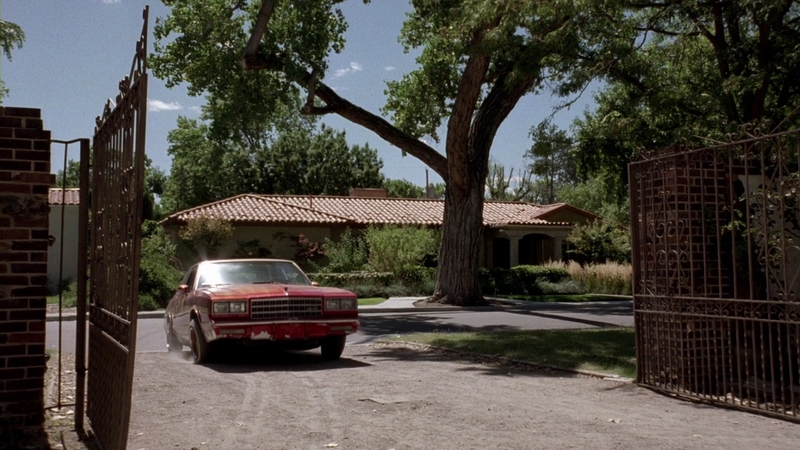 Episode "…And the Bag’s in the River"
Walt has a flashback. 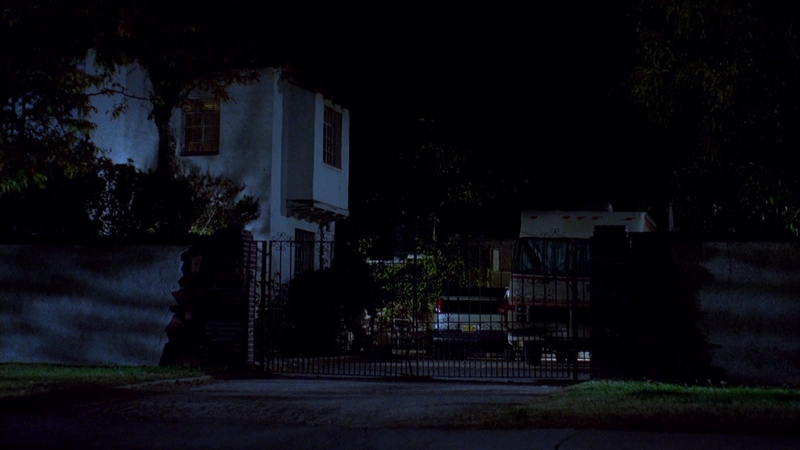 Alternates with shots of Walt and Jesse at Jesse's house. 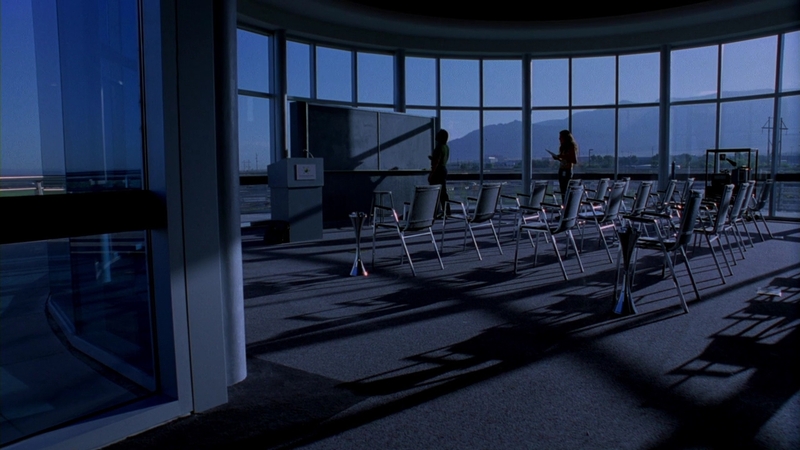 Skylar and Walt Jr. are painting a room. Walt and Jesse clean each other after disposing of the body. Marie is at a shoe shop. Hank at a drug bust, on the phone with Marie. Alternates with the previous scene. 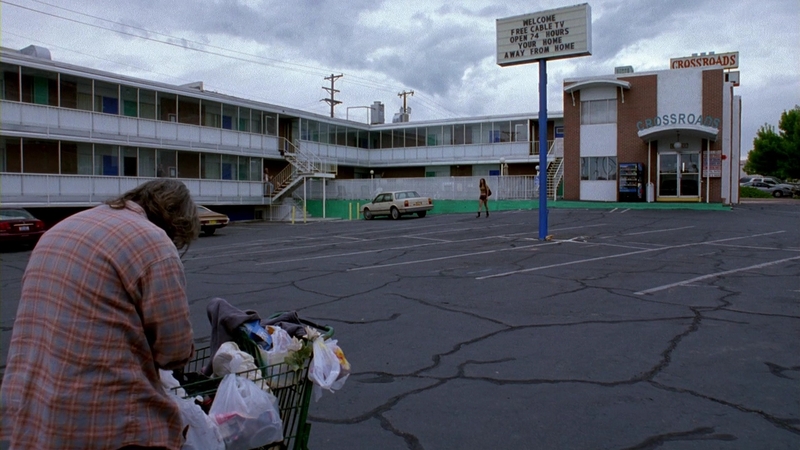 Hank takes Walt Jr. to a motel parking lot. 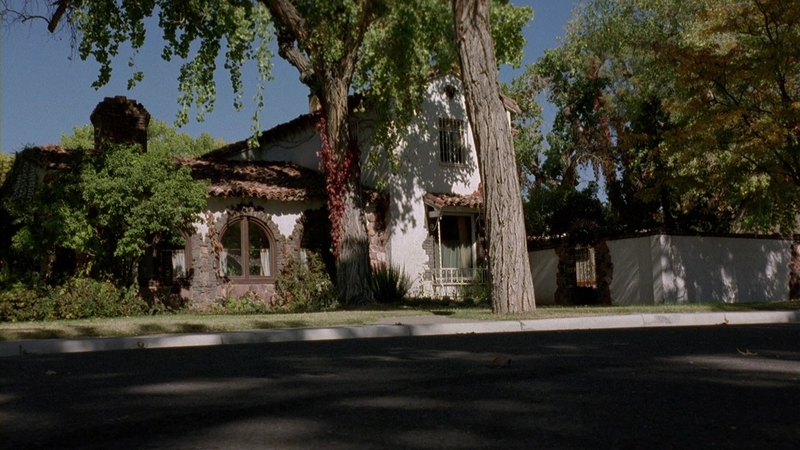 Walt is at Jesse's house at night. 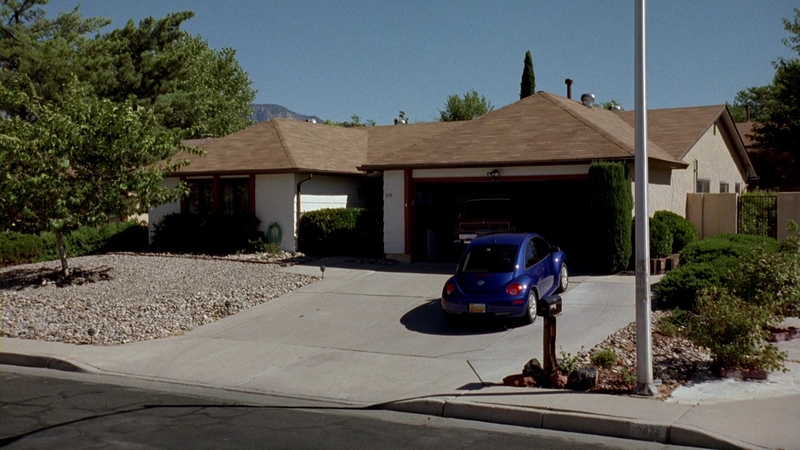 Morning shots of Jesse's neighborhood and house. The principal informs Walt's class that he will not be there. 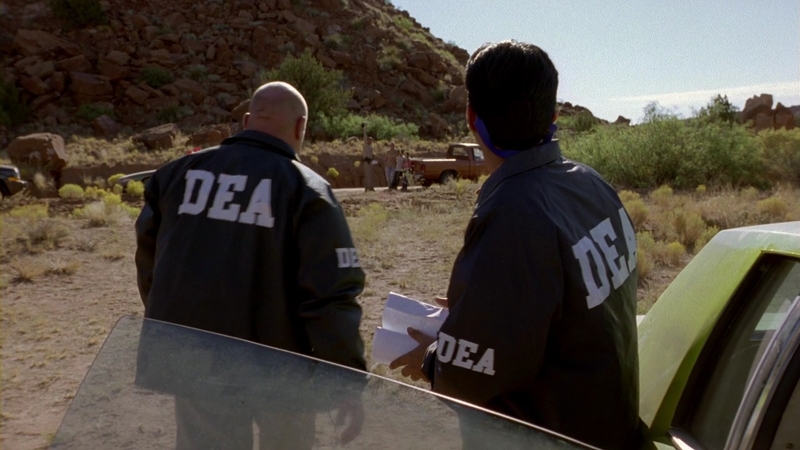 The DEA examines the cook site and the abandoned car. 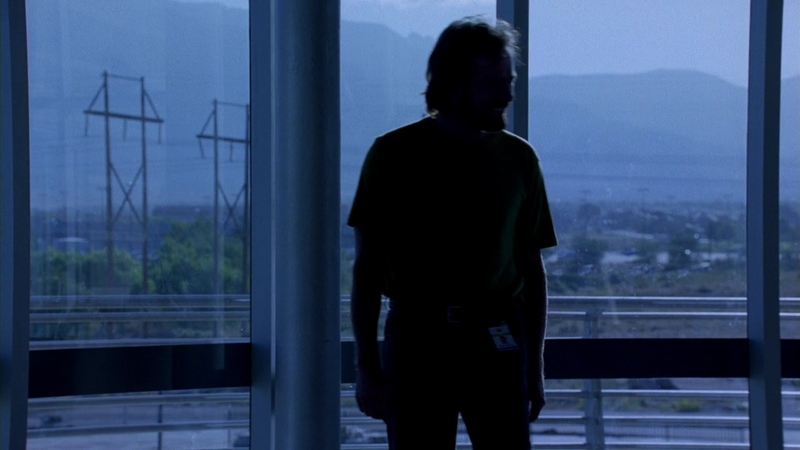 Walt sits in his car on a highway overpass. 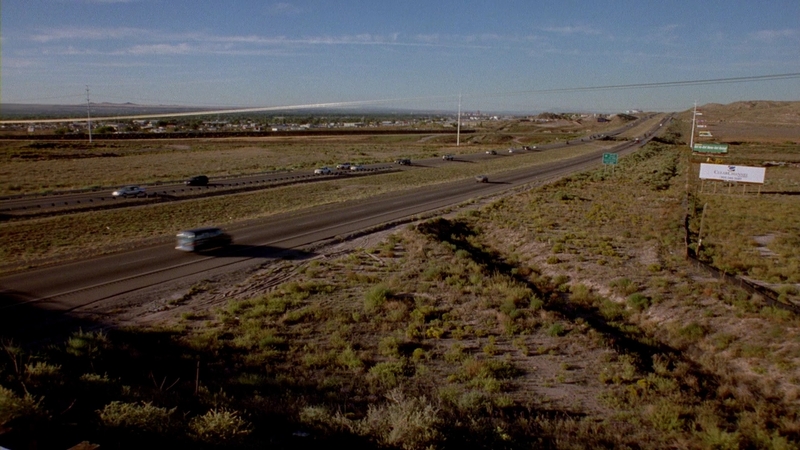 Walt has another flashback. Alternates with the previous shot.